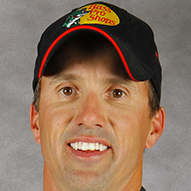 With a victory and three other top-7 finishes in the first four events of the MLF Bass Pro Tour's inaugural season, plus an 8th-place showing at the Bassmaster Classic, Edwin Evers has moved into the top slot in the newest edition of the BassFan World Rankings. It's the first time he's occupied the No. 1 position since May 2013. The Oklahoman has a commanding 16-point lead over 2nd-place Jacob Wheeler, who was 2nd in both the Classic and the Raleigh BPT event. Jordan Lee, who was No. 1 in the last edition, dropped to 3rd, followed by Raleigh winner Jacob Powroznik and Brandon Palaniuk. FLW Tour aces Bryan Thrift and Scott Martin lead the second half of the top 10, which is rounded out by Chris Johnston, Mark Daniels Jr. and Brent Ehrler. Stetson Blaylock, the winner of last week's Winyah Bay Bassmaster Elite Series and the runner-up the previous week at Lake Hartwell, rocketed up 63 places to No. 23. Lake Chickamauga BPT winner Andy Morgan, whose spent long stretches at No. 1 in the rankings, climbed from 56th to 21st and Cherokee Lake FLW Tour winner Andrew Upshaw gained 14 positions to 77th. The next event that will impact the Rankings is the Smith Lake BPT, which gets under way April 30.